Join ARPA’s Community on TacitKey to engage and discuss your views on the ever-changing trends in regulatory affairs. Gain access to exclusive content, webinars, videos from past events, as well as courses - created by ARPA members. Update your knowledge and engage with these thought leaders! 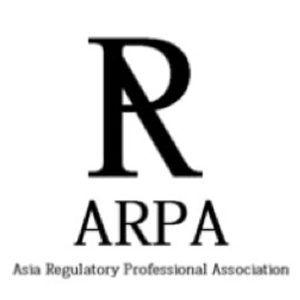 Asia Regulatory Professional Association (ARPA) is an association for regulatory professionals in Asia. Since its establishment in 2010, ARPA has been making huge strides in raising the standard of regulatory professionals through organizing training activities, raising awareness about the impact of medical regulation, education, inter-agency collaborations, and publishing. ARPA strives to establish a global standard for regulatory professionals and help regulatory professionals in Asia achieve recognition through the exchange of ideas and establishing collaborations with government agencies, academia, and corporations. Join the ARPA community on TacitKey to gather valuable insights shared by these thought leaders in the form of content, webinars, videos from past events, and courses. What does a regulatory professional do? How does ARPA help regulatory professionals? ARPA helps their members by fostering an environment of learning, networking, and empowering their members to build a career of professional excellence that surpasses the existing global standards. TacitKey enables professionals from Healthcare, Life Sciences, Legal, and Finance industries to publish and monetize their tacit knowledge. Tacit knowledge includes the experiences, observations, and skills that they have gathered throughout their careers.Tacit knowledge comprises of their unique and personal insights, opinions, and perspectives on existing industry challenges, which makes them extremely valuable - even more than their resume. However, these are rarely showcased. TacitKey enables professionals to easily publish and earn from their tacit knowledge in the form of articles, videos of talks or presentations at conferences, reports, and audio notes.Additionally, professionals can join Communities to advance their thought leadership and learn from the tacit knowledge showcased by their peers through inspiring tacit knowledge-based content, engaging webinars, videos from past conferences, or courses. TacitKey also empowers professionals by helping them elevate their professional brand value by collaborating with their peers and increasing their earnings by matching them with economic opportunities in consulting, publishing, or mentoring based on their tacit knowledge they have showcased on TacitKey.